Today, giant pandas are one of the world's most well known animals. And they are universally recognised as being a charismatic symbol of both China and nature conservation in general. But global interest in the animal only took off early in the 20th century. In 1936, American fashion designer Ruth Harkness captures and takes the baby panda Su-Lin to the United States, making the cub an instant 'celebrity' and evoking universal sympathy for the plight of the species and creating the 'panda cult'. 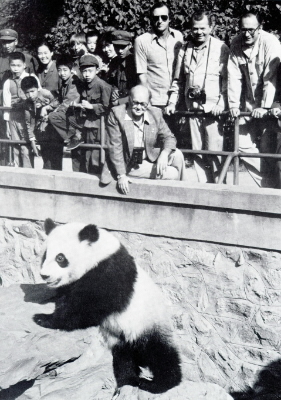 In the early 1960s, the first four panda reserves are established in China and a decree is issued prohibiting the hunting of a host of animals, including the giant panda. In 1979, WWF signs a unique agreement with China to cooperate on conservation, including helping to save the giant panda. WWF was the first international conservation organization to work in China at the Chinese government's invitation. In 1989, WWF-funded research and satellite imagery show that suitable habitat for pandas in Sichuan Province has shrunk by 50 percent since 1974. In 1992, a management plan for the panda is launched following a decade of cooperation between WWF and the Chinese Ministry of Forestry. Upon completion of the plan, 60 percent of all panda habitat will be included within protected areas. In 1998, WWF files a lawsuit related to the process of loaning pandas to US zoos, which results in a policy requiring zoos importing pandas to ensure that more than half of the funds associated with each loan are channelled into the conservation of wild pandas and their habitat. 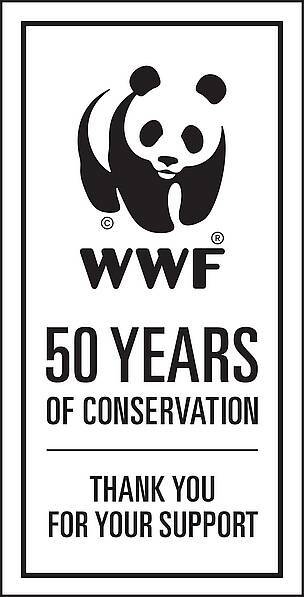 What is the story behind WWF's panda logo? The inspiration for our logo came from Chi-Chi: a giant panda that arrived at London Zoo in 1961 - the same year that WWF was created. Aware of the need for a recognisable symbol that would overcome all language barriers, WWF's founders agreed that the big, furry bear with her distinctive black and white coat would make a great logo. Based on these, Sir Peter Scott, one of our founders, drew the first logo. He said at the time that "we wanted an animal that is beautiful, endangered, and loved by many people in the world for its appealing qualities. We also wanted an animal that had an impact in black and white to save money on printing costs." The panda has since become a symbol not just for WWF but also for the conservation movement as a whole.